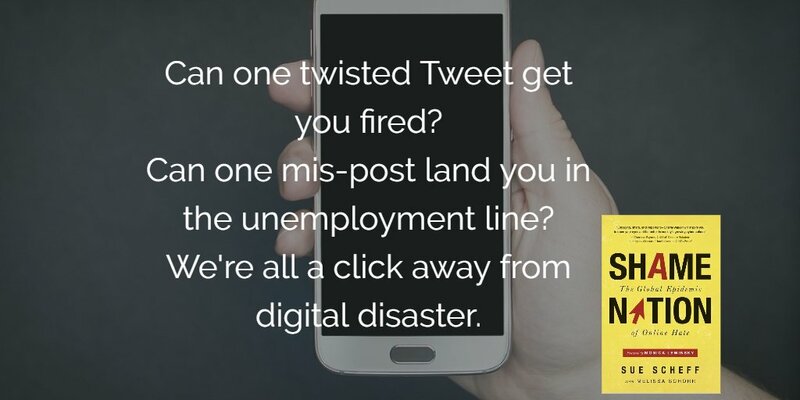 We are now living in a society where one Tweet or mis-post and you could find yourself on an unemployment line. According to a survey by Proskauer, 80 percent of workplaces now have social media policies in place, yet approximately half of employees will post pictures, videos, messages/comments involving their employers. Jobvite survey revealed that 92 percent of hiring recruiters will review potential applicants social media profile and according to CareerBuilders 49 percent of hiring managers have eliminated candidates due to negative posts. When did we become a culture that believes it’s okay to post what on our mind or how we feel, especially if it’s inappropriate or hateful? Just because you can — doesn’t mean you should. By now you have heard about comedian Kathy Griffin’s twisted post of a be-headed image of the president. Like the president or not, he’s the president of the United States of America. Even celebrities are not immune to being fired. Though she apologized, she was almost immediately fired from CNN, lost sponsors and she was feeling the repercussions of how a Tweet can ruin your life. Again, he quickly came back with an apology, like most do, but not before losing his job and who knows what else. Likely the respect from other journalists. I’m not sure if it’s the part about losing the job that bothers me so much or if it’s the part that people actually believe it’s okay to post ugliness about others. That is most disturbing to me. The loss of a job – I’m sure they will all recover, but will they learn the lesson of compassion for others? That’s what we need to really be concerned about.